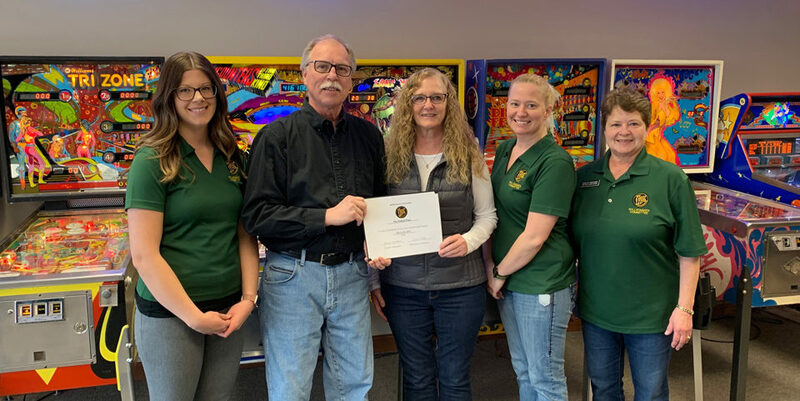 The New Ulm Chamber’s Willkommen Committee stopped in at A to Zinnia Floral and Gifts to welcome Meghan Irwin, new manager. Meghan has been there about 2 months, having moved across the street from her former position at the Brown County Historical Society. A South Dakota native, she moved to New Ulm 8 years ago with her husband Matt and their son Miles. She says she is learning everything about the floral business with administration being her main focus. Heather Hammer, owner of A to Zinnia, says Meghan is full of skills including organizational and people skills plus she is an artist by nature. She joins a staff of 4 full time and 6 part time employees. The floral shop creates bouquets and arrangements for weddings, funerals, and every day events. They have 2-4 weddings booked each weekend through October. They also carry jewelry, décor and many gift items. Welcome, Meghan! 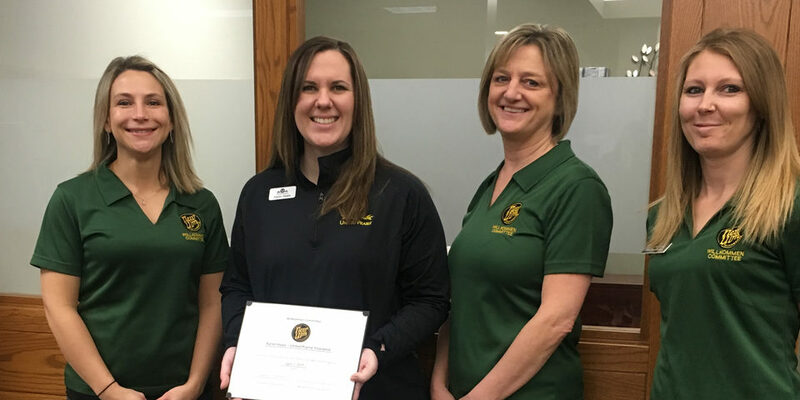 Photo: Pam Kitzberger, Oak Hills Living Center; Meghan Irwin and Heather Hammer, A to Zinnia; Lynn Fink, Citizens Bank.